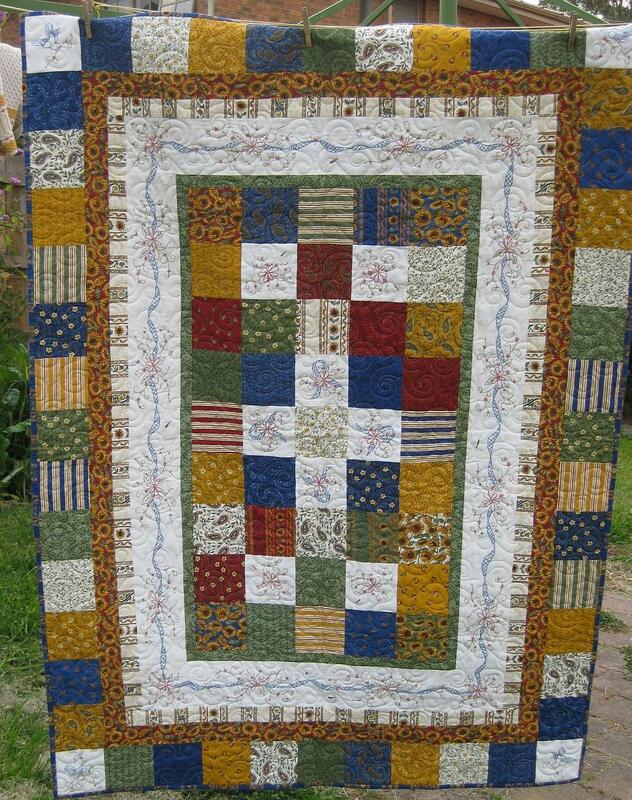 Just found this photo of my Daisy Delight quilt that a lovely customer sent me awhile ago, that I had misplaced. Elizabeth has made it in her own colours and has done a fantastic job. I’m sorry it has taken me so long to put it on here. Computers have a way of sometimes placing things in spots where they shouldn’t be and then you can’t find them. I would love to see any other projects that any of you have made of my designs so I can display your proud works of art, so feel free to email me your photo’s.